Baby Feet. 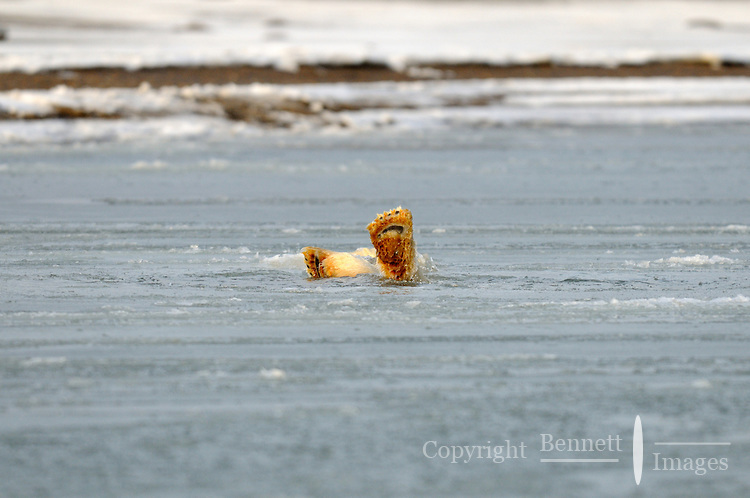 This cub is playing in the icy water off Barter Island. Every fall, polar bears gather near the community of Kaktovik, Alaska, on the northern edge of ANWR, waiting for the Arctic Ocean to freeze. The bears have become a symbol of global warming.